Cthulhu, Generator module for modular synthesizer from Razmasynth. 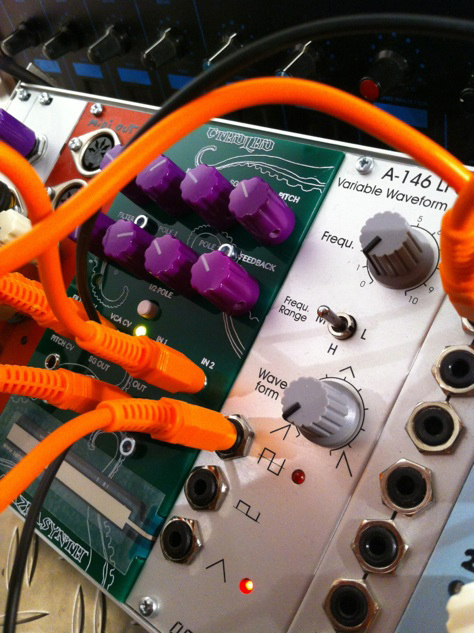 Razmasynth, the creator of the Razmasynth Mini synth, will launch the new Cthulhu Eurorack module in september. Though it is inspired by the Razmasynth Mini, Cthulhu is a brand new product. You'll find the ribbon controller also used on the hardware synth, but it's oscillator, called here Sound Generator, is not a VCO. It can be used as an oscillator, with its CV input and the ribbon, but it can also add to the filtered signal. 2 audio inputs are present, they can be mixed together with the Sound Generator input. The signal then passed through a 2-pole filter with attenuator, which acts like an offset when nothing is connected to the filter CV input. 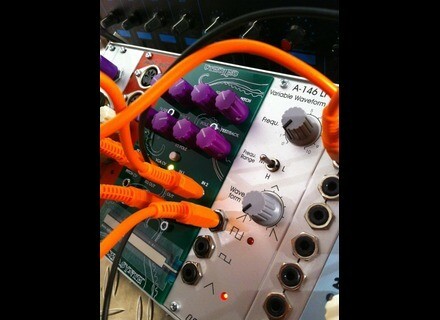 Then follows a VCA with its own CV input. Three main outputs, 180° and Sound Generator outs are available at the end of the signal path. Cthulhu will be available as a DIY kit and some assembled modules will also be offered. The price has not been announced and all the details will soon be available at www.razmasynth.com. Sonic Potions synth drumbox available tomorrow Sonic Potions finally named its new DIY groovebox, and announces that it will be available for purchase on June 28th. MacBeth's Nexus new video demo MacBeth announces that the design of the final production version of his Nexus synth is now complete and offers a new video demo.